Washington D.C.-On December 10, 2015 the Federal Motor Carrier Safety Administration (FMCSA) issued its congressionally mandated rule requiring drivers subjected to federal hours-of-service rules to use electronic logging for compliance with federal hours-of-service (HOS) rules. Championed by the American Trucking Association (ATA), the final rule is a multi-billion dollar mandate on the trucking industry. 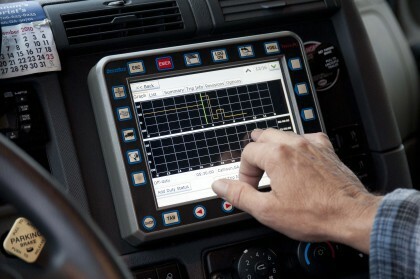 As proof of the old expression, “be careful what you wish for,” the ATA’s political push for this mandate will require most of their larger member motor carriers (who also supported this mandate) to replace their existing platforms since most will not comply with the new technical specifications for a compliant Electronic Logging Device (ELD). Full industry compliance with the final rule is required by December 18, 2017. Wished for reduction in maintaining supporting (paper) documents did not occur. All compliant ELD’s will be required to either display or print HOS data. There are some useful exemptions outlined in the final rule and lastly, as required by a Federal Court decision, FMCSA outlined procedures to prevent “driver harassment” by motor carrier management. Drivers operating under state HOS regulations do not need to comply with this rule unless a state independently adopts this requirement for drivers who only operate within a state. Drivers who use paper RODS for not more than 8 days during any 30 day period. For those motor carriers whose drivers engage in local operations, ELD use would be required only if a driver operates outside the timecard provisions of part 395 for more than 8 days of any 30-day period. The requirement would be applicable to the specific driver rather than the fleet. Drivers who conduct driveaway-towaway operations, where the vehicle being driven is the commodity being delivered. The driveaway-towaway exception addresses unique aspects of those operations, but only if the vehicle driven is or is part of the shipment. Drivers of vehicles manufactured before model year 2000. The pre-2000 model year exception reflects concerns about employing an ELD on such vehicles. Drivers and motor carriers currently using § 395.15-compliant Automatic Onboard Recorders (AOBRDs), however, are allowed to continue to use AOBRDs for an additional 2 years after that date. Many commenters to the rulemaking docket supported the proposed exception for drivers who infrequently need to use RODS, including the California Highway Patrol and Western States Trucking Association (our comments were originally filed under the name California Construction Trucking Association). The exemption for pre-2000 Model Year (MY) trucks differs from CARB regulations where in the CARB regulatory scheme MY is about the engine year. In this rule, MY is about the truck chassis itself. The WSTA supplied the only trade association comments specifically recognized by FMCSA in the final rule on the subject of the economic cost-benefit of including older MY trucks in the final rule. FMCSA independently validated our contention that applying the rule to operators of these trucks was not economically justifiable. Under § 395.11(d), motor carriers must retain up to 8 supporting documents for every 24-hour period a driver who uses ELDs is on duty. Section 395.8(k) continues to require that motor carriers retain RODS and supporting documents for 6 months. New § 395.11(b) specifies that drivers must submit supporting documents to the motor carrier no later than 13 days after receiving them. Payroll records, settlement sheets, or equivalent documents that indicates payment to a driver. FMCSA acknowledges that sometimes drivers will not receive documents that meet all these criteria. If a driver has fewer than eight documents that include the four elements under § 395.11(c)(2)(ii), a document that contains all of the elements except “time” is considered a supporting document; otherwise, it is not considered a supporting document. Section 395.11(g) requires the driver to make supporting documents in his or her possession available to an authorized Federal, State, or local official on request. However, the driver only has to provide the documents in the format in which the driver has them available. The final rule does not require the driver to keep any supporting documents in the vehicle. A compliant ELD will be required to be integrally synchronized interfacing with the CMV engine ECM, to automatically capture engine power status, vehicle motion status, miles driven, engine hours. (CMVs older than model year 2000 are exempted). ELD’s will need to be GPS enabled and capture actual truck location to within one mile. ELD’s are not required to automatically flash or change screen color if a violation is present. All ELD’s will need to display HOS data on a screen or be able to print the data. There is no requirement for a new “Line 5” to capture use of a truck as personal conveyance, the adverse weather exemption, or the 16 hour rule for drivers whose day begins and ends from the same terminal location. Those situations are to be handled through an annotation to the driving record. ELD’s will need to include a mute button and volume control feature so that drivers can minimize any interruptions to their off-duty periods. Beyond that, FMCSA is establishing procedures for drivers to submit harassment complaints directly to them. The agency also pointed out that drivers have always enjoyed protection from retaliation by employers under 49 U.S.C. 31105, which is administered by the U.S. Department of Labor.